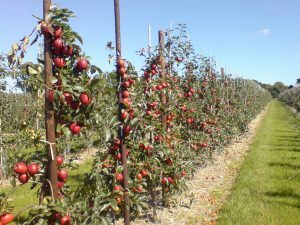 Blackmoor Estate is one of the last remaining commercial ‘top-fruit’ growers in Hampshire, growing a wide variety of apples, pears and cherries for supermarket and local customers. 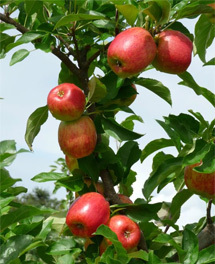 The cool climate and altitude in this part of the South Downs National Park produces top quality English apples with full flavour and a crisp texture. All Blackmoor’s fruit is grown to the high standards of LEAF (Linking Environment and Farming), identified in-store by the LEAF Marque logo.